Here lies Marsha. Marsha with the half chewed off face. I used to think that Dwarf Hamsters were cute. I’ve since learnt better. 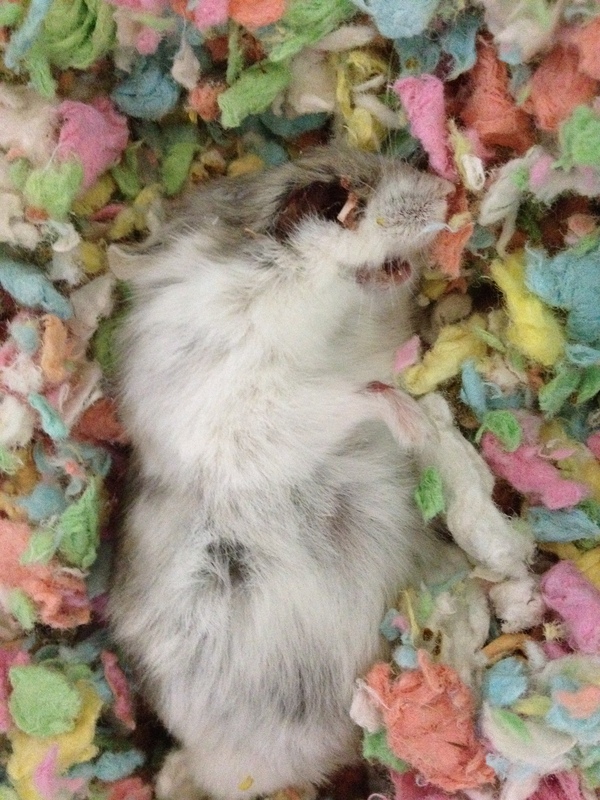 Dwarf Hamsters are nasty little cannibals. I just fed Marsha last night. I knew she was old and sick, but didn’t expect her to die so soon. I just hope her sister, Number 4, chose to wait until she was dead before she crunched on her right eyeball. I’d say it would have been the only decent thing to do.